This achievement is unlocked after defeating the Hollow Knight in the Temple of the Black Egg without having acquired the Void Heart charm. There are three different endings to the game. All three require that you first destroy the three Dreamers, then fight the Hollow Knight in the Temple of the Black Egg. Ending 1 (for this achievement): Without obtaining the Void Heart charm, engage and defeat the Hollow Knight in the Temple of the Black Egg. This achievement will unlock after the ending scenes and credits. It is possible to get all three endings on a single save file as after reaching an ending, you can continue your save file from prior to engaging the Hollow Knight. Start by defeating the Hollow Knight without having acquired the Void Heart charm, then continue (from your last save point). Engage the Hollow Knight after acquiring the Void Heart charm and after Hornet intervenes, keep attacking the Hollow Knight until it is defeated. Continue (from your last save point) and engage the Hollow Knight again. 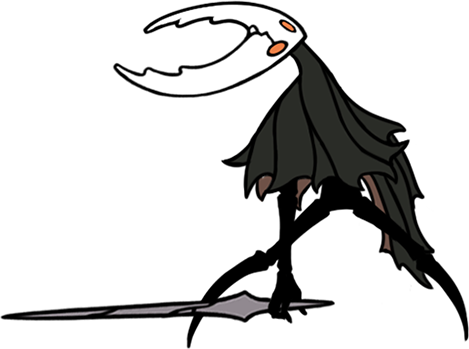 When Hornet intervenes, use the Awakened Dream Nail on the Hollow Knight to initiate the battle with Radiance.